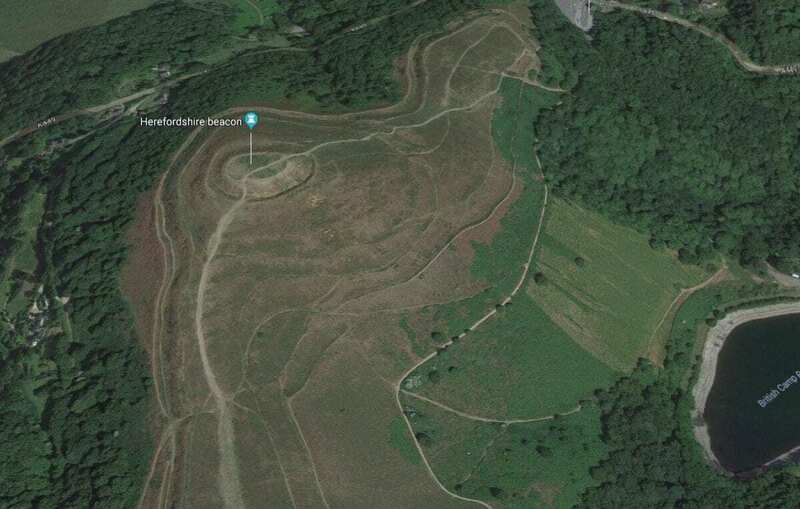 A hill fort is a type of earthworks used as a fortified refuge or defended settlement, located to exploit a rise in elevation for defensive advantage. The fortification usually follows the contours of a hill, consisting of one or more lines of earthworks, with stockades or defensive walls, and external ditches. Hill forts developed in the Late Bronze and Early Iron Age, roughly the start of the first millennium BC, and were in use by the ancient Britons until the Roman conquest. 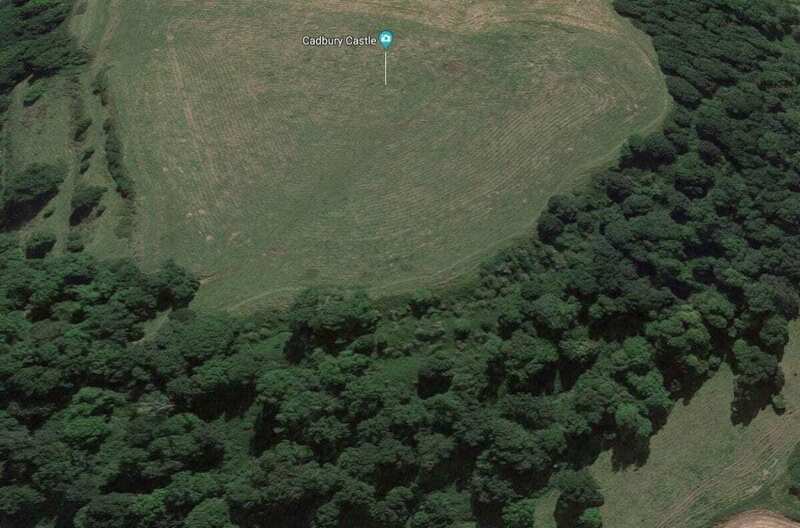 There are around 3,300 structures that can be classed as hillforts or similar “defended enclosures” within Britain, all worthy of considering. The following list represents ten of the most impressive examples. After the Roman conquest of Britain in the 1st century AD, Maiden Castle appears to have been abandoned, although the Romans may have had a military presence on the site. In the late 4th century AD, a temple and ancillary buildings were constructed. In the 6th century AD the hill top was entirely abandoned and was used only for agriculture during the medieval period. 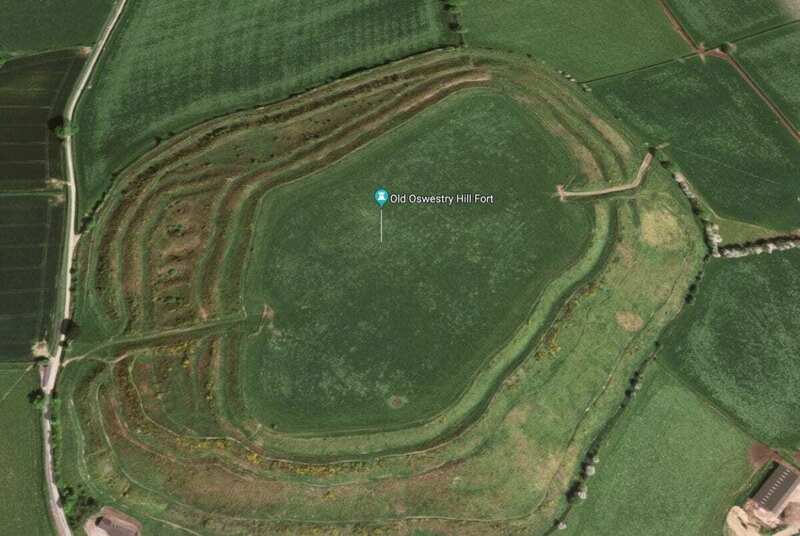 Old Oswestry is one of Britain’s most spectacular and impressive early Iron Age hill forts in the Welsh Marches near Oswestry in north west Shropshire. It remains one of the best preserved hill forts in the UK, according to English Heritage. Built on lower ground, it is also one of the most accessible hill forts with stunning panoramic views across North Wales,Cheshire and Shropshire. Designated as a scheduled monument (number 27556) in 1997 it is now in the guardianship of English Heritage. After the Hill Fort was abandoned it was incorporated into Wat’s Dyke where two sections of this are adjacent to the fort. It was occupied between the sixth century BC, probably by the Cornovii tribe or the Ordivice tribe. Traprain Law is a hill about 221m (724 feet) in elevation, located 6 km (3.7 mi) east of Haddington in East Lothian, Scotland. It is the site of an oppidum or hill fort, which covered at its maximum extent about 40 acres and must have been a veritable town. Whether it was a seasonal meeting place or permanent settlement is a matter of speculation. The hill was already a place of burial by around 1500 BC and showed evidence of occupation and signs of ramparts after 1000 BC. The ramparts were rebuilt and re-aligned many times in the following centuries. Excavations have shown it was occupied in the Late Iron Age from about AD 40 through the last quarter of the 2nd century (about the time that the Antonine Wall was manned). Following the Roman withdrawal to the line of Hadrian’s Wall it was occupied from about 220 almost uninterruptedly until about 400 when an impressive new rampart was built, then within a few decades the site was abandoned. In the 1st century the Romans recorded the Votadini as a British tribe in the area, and Traprain Law is generally thought to have been one of their major settlements; named “Curia” by Ptolomy. They emerged as a kingdom under the Brythonic version of their name Gododdin and Traprain Law is thought to have been their capital before moving to Din Eidyn. Hambledon Hill is a prehistoric hill fort in Dorset, England, situated in the Blackmore Vale five miles north of Blandford Forum. The hill itself is a Chalk outcrop, on the south western corner of Cranborne Chase, separated from the Dorset Downs by the River Stour. It was originally univallate but further circuits of banks and ditches were added increasing its size to 125,000 m². Three entrances served the fort, the south western with a 100m long hornwork surrounding it. Hut platforms can be seen on the hillside. 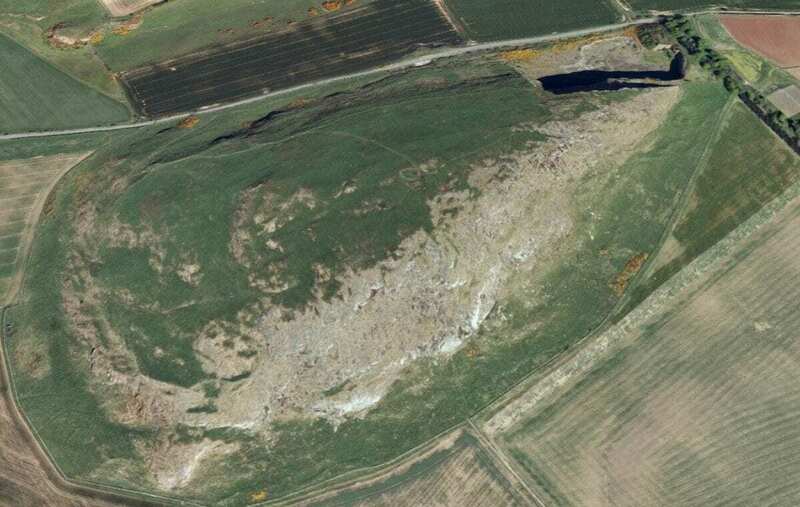 The site appears to have been abandoned around 300 BC possibly in favour of the nearby site of Hod Hill. Cadbury Castle is a Bronze and Iron Age hill fort in the civil parish of South Cadbury in the English county of Somerset. Cadbury Castle is located 5 miles (8.0 km) north east of Yeovil. It stands on the summit of Cadbury Hill, a limestone hill situated on the southern edge of the Somerset Levels, with flat lowland to the north. The summit is 153 metres (500 ft) above sea-level on lias stone. The hill is surrounded by four terraced earthwork banks and ditches and a stand of trees. The hill fort is overlooked by Sigwells, a rural plateau rich in archaeological remains. Excavations of the south west gate in 1968 and 1969 revealed evidence for one or more severe violent episodes, associated with weaponry and destruction by fire. Whereas the excavator, Leslie Alcock, believed this to have been dated to around AD70, Tabor argues for a date associated with the initial invasion, AD43–44. There was significant activity at the site during the late third and fourth centuries, which may have included the construction of a Romano-Celtic temple. Havinden states that it was the site of vigorous resistance by the Durotriges and Dobunni to the second Augusta Legion under the command of Vespasian. Battlesbury Camp is the site of an Iron Age bivallate hillfort on Battlesbury Hill in Wiltshire in South West England. Excavations and surveys at the site have uncovered various finds and archaeological data. Battlesbury occupies the summit of an irregular point of down, with its defences following the natural contours of the hill, and being by nature of the site almost inaccessible on the west and northeast sides. It has triple ditches and ramparts for the most part, with double on the southeast side. 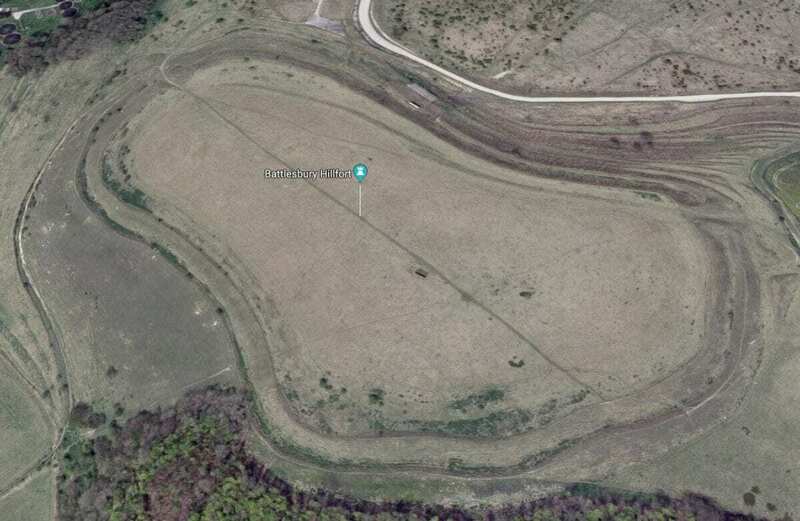 The site encloses 23.5 acres in all. There are entrances at the northwest and northwest corners. The British Camp is an Iron Age hill fort located at the top of Herefordshire Beacon in the Malvern Hills. The hillfort is protected as a Scheduled Ancient Monument and is owned and maintained by Malvern Hills Conservators. The fort is thought to have been first constructed in the 2nd century BC. A Norman castle was later built on the site. 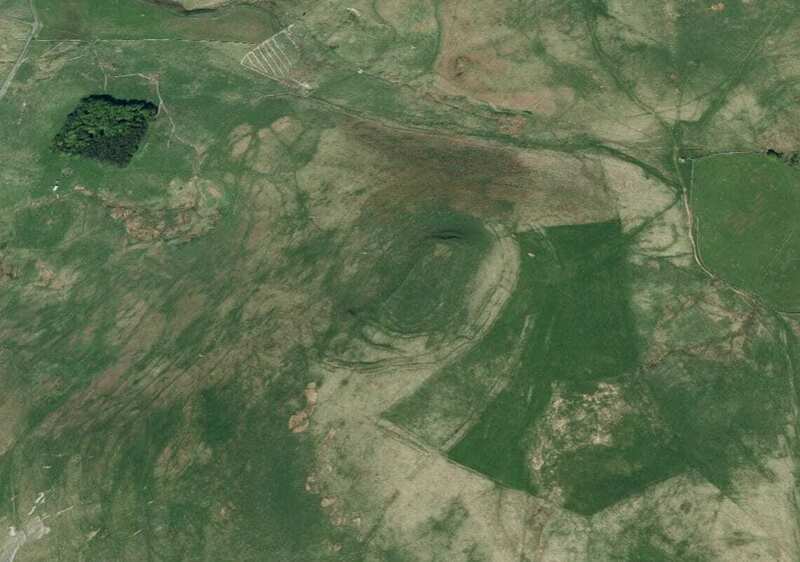 The British Camp is composed of extensive earthworks that have been compared to a giant wedding cake. There are a number of generally round hut platforms on the British Camp, which may well suggest a permanent occupation. 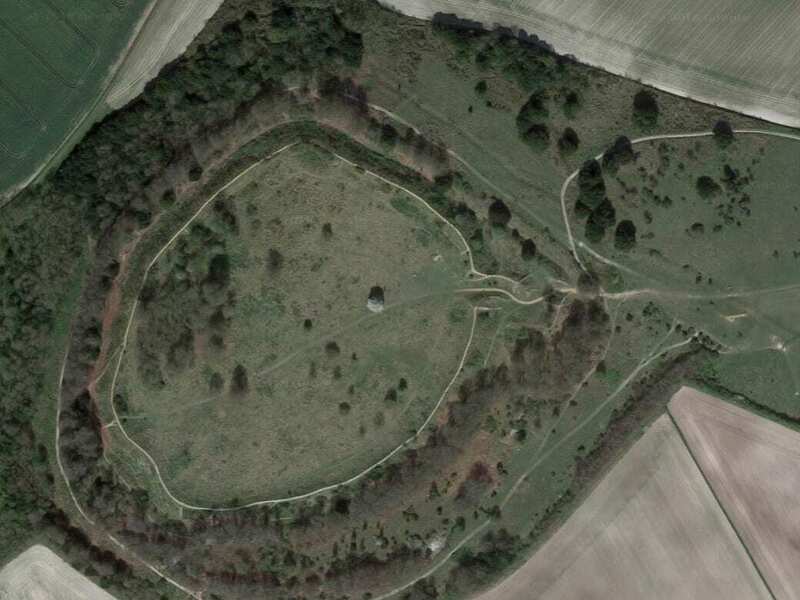 Cissbury Ring is a hill fort on the South Downs, in the borough of Worthing, and about 5 kilometres (3 mi) from its town centre, in the English county of West Sussex. It is the largest hill fort in Sussex, the second largest in England and one of the largest in Britain and Europe overall, covering some 60 acres (24 hectares). The earthworks that form the fortifications were built around the beginning of the Middle Iron-Age possibly around 250 BC but abandoned in the period 50 BC – 50 AD. The ditches and banks are the remains of a defensive wall that enclosed 65 acres (260,000 m2) of land; the inner band of the wall is over a mile around. The ditches are said to be as deep as three metres and were filled with loosened chalk and covered with timber palisades. 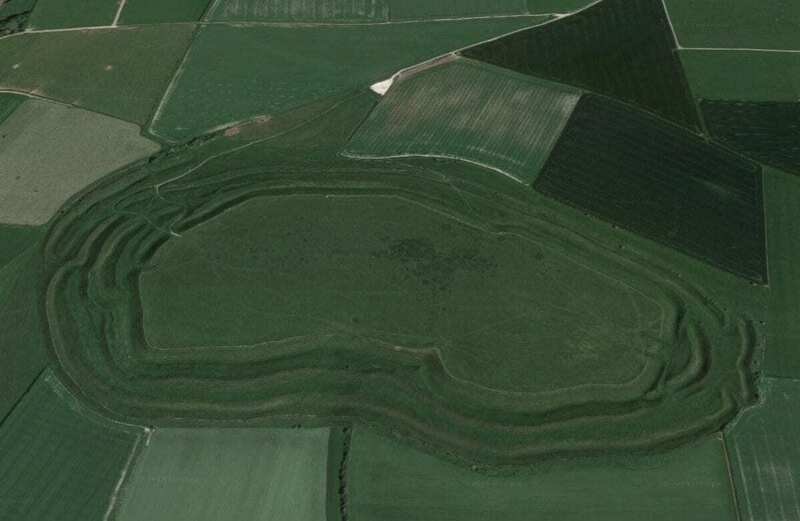 Danebury is an Iron Age hill fort in Hampshire in England, about 19 kilometres (12 mi) north-west of Winchester. The site, covering 5 hectares (12 acres), was excavated in the 1970s. 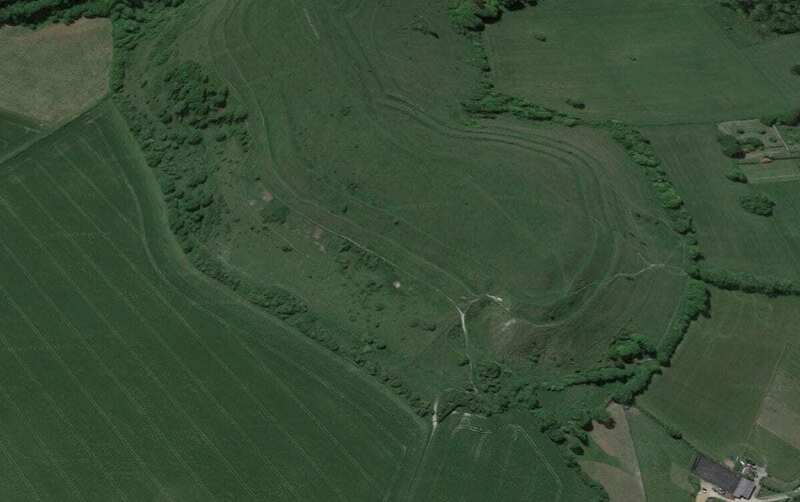 Danebury is considered a type-site for hill forts, and was important in developing the understanding of hill forts, as very few others have been so intensively excavated. Built in the 6th century BC, the fort was in use for almost 500 years, during a period when the number of hill forts in Wessex greatly increased. 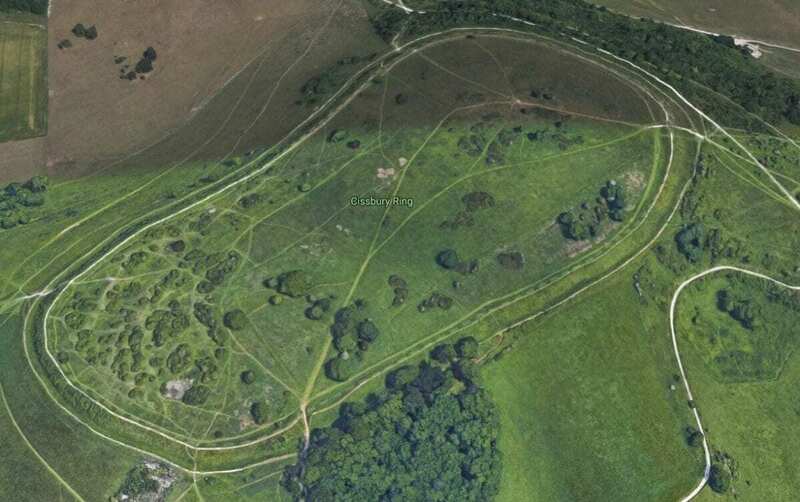 Danebury was remodelled several times, making it more complex and resulting in it becoming a “developed” hill fort. It is now protected as a Scheduled Ancient Monument and a Site of Special Scientific Interest. Situated in the Cheviot hills on the Scottish borders, Woden Law rises to 422m (1384 feet) 1¼ miles (2 km) west of the English border and 9 miles (15 km) southeast of Jedburgh. There is a substantial hill fort on the summit with multiple defensive ramparts. The ramparts belong to three phases of construction, the innermost rampart surrounds the remains of several timber round houses. Linear earthworks on the lower slopes formed parts of an Iron Age field-system during the occupation of the fort. The fort was abandoned during the Roman expansion in Britannia.